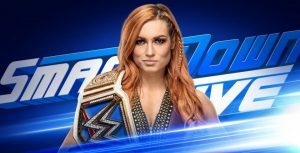 WWE Smackdown Live Preview For 10.29.2018: Evolution 2018 Fallout and Crown Jewel 2018 Build-Up With A.J. Styles, Daniel Bryan, World Cup 2018 Finalists, Big Show / The Bar and More! WWE has released a preview for tonight’s Smackdown Live. It appears to be a partial preview with possibly more to be teased later today. That would include what’s next for Becky Lynch! Here’s what we know so far. 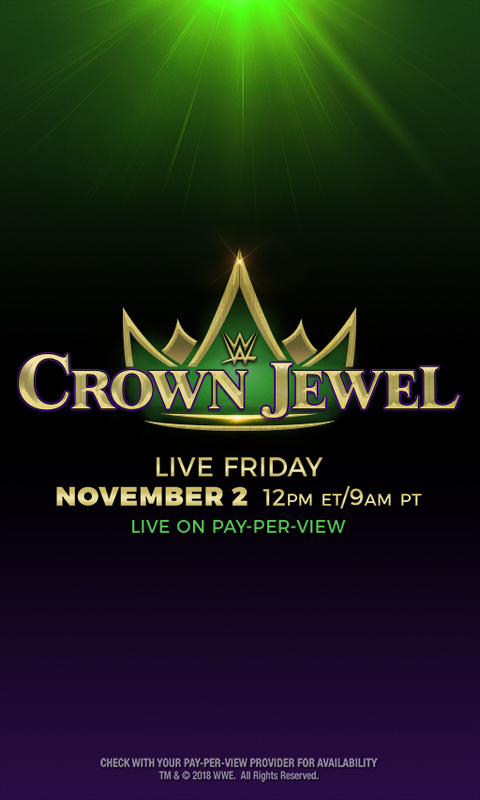 WWE Crown Jewel may be just four days away, but there will be plenty of action on SmackDown LIVE as Team Blue gets ready for the huge event. WWE Champion AJ Styles and Daniel Bryan will be in the same ring ahead of their huge title showdown. Plus, one member of The New Day and one member of The Bar will square off in a Trick or Street Fight. Who will take part in this Halloween tradition? Find out on SmackDown LIVE, Tuesday at 8/7 C on USA. Who will compete in a Trick or Street Fight? The New Day and The Bar will square off for the SmackDown Tag Team Championship on Friday at WWE Crown Jewel, but before the title match, one member of each group will square off in a Trick or Street Fight. Who will take part in this Halloween-themed showdown? Will they show up in costume? Find out on SmackDown LIVE. 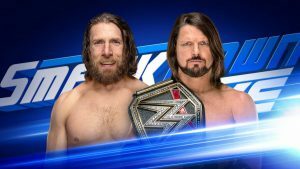 WWE Champion AJ Styles and Daniel Bryan are set to clash for the title this Friday at WWE Crown Jewel, but the tension between the two Superstars may reach new heights on SmackDown LIVE. 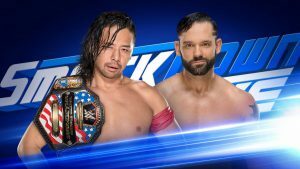 Both men will be in the same ring at the same time on Tuesday night, and after Styles and Bryan suffered two straight losses to The Usos after striking one another (seemingly by accident), will the champion and the challenger avoid coming to blows ahead of Friday’s title showdown? Who will gain momentum ahead of the WWE World Cup? This Friday at WWE Crown Jewel, the best in the world will be determined in the eight-man WWE World Cup. 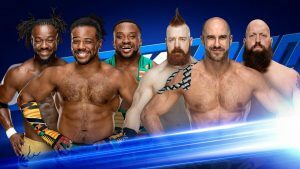 Just days before the epic battle, the four SmackDown Superstars set to compete will surely be looking to gain the upper hand. 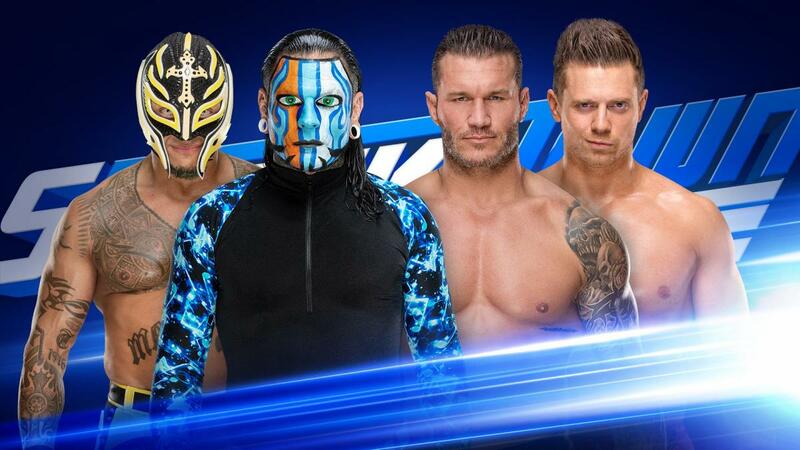 What will Rey Mysterio, Jeff Hardy, Randy Orton and The Miz have planned? WWE has added to their earlier preview with the below. How will Becky Lynch prepare for Ronda Rousey? Survivor Series is almost here, and on the one night where Raw and SmackDown Superstars square off in head-to-head competition, that means SmackDown Women’s Champion Becky Lynch will go one-on-one with Raw Women’s Champion Ronda Rousey. After defeating Charlotte Flair to retain her title in the first-ever Last Woman Standing Match at WWE Evolution, The Irish Lass Kicker is more confident than ever. How will she deal with having to face The Baddest Woman on the Planet in just two weeks? Find out when the SmackDown Women’s Champion appears on SmackDown LIVE, tonight at 8/7 C on USA Network! On top of that on twitter it was announced that Perfect 10 Tye Dillinger would challenge Shinsuke Nakamura for the United States Championship. Crown Jewel 2018 is this Friday!